Over the past fifteen years, Bill Morrison has created a remarkable series of found-footage films that highlight the ravages of time and decay on the filmed image. These are as much celebrations of the sometimes-frightening beauty of decomposing film as laments for vanishing relics of cinema’s origin. Although not drawing exclusively from early cinema, Morrison specialises in this originary epoch of movie history. On the material level, he appreciates the paradoxical fact that nitrate simultaneously offers what he considers the most perfect film image and is also notoriously unstable. Beyond this, he sees the invention of film as the only precisely locatable birth of an art form, one whose inception is not lost in the mists of time but is more or less contemporary with the emergence of modern man. From the decaying body of film, he extrapolates an analogy for the fate of the human mind and body. The frame pauses briefly before the projector’s lamp, and then moves on. Our lives are accumulations of ephemeral images and moments that our consciousness constructs into a reality. No sooner have we grasped the present, it is relegated to the past, where it only exists in the subjective history of each individual. The images can be thought of as desires or memories: actions that take place in the mind. The film stock can be thought of as the body, that which enables these events to be seen. Like our own bodies, this celluloid is a fragile and ephemeral medium that can deteriorate in countless ways. This statement appeared in the catalogue of the 2006 Cork Film Festival, which held a three-programme retrospective of Morrison’s work. 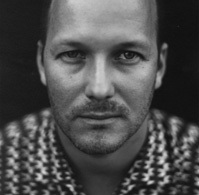 This selection traces his career from early pieces like Footprints (1992) and Photo Op (1992), which first appeared as part of stage productions, through the semi-documentary, The Film of Her (1996), and the reconfigured narrative, The Mesmerist (2003), to the more detachedly contemplative recent works, Who By Water (2006) and The Highwater Trilogy (2006), and the ‘city symphony’, Gotham (2005). Moving away from silent-era material, he also uses more recent home-movie found-footage in Porch (2005), newly shot images in East River (2003), and has made a very mysterious short narrative, Ghost Trip (2000), shot under the influence of Dead Man (Jim Jarmusch, 1995). Whilst several of his films are masterpieces – The Death Train (1993), Trinity (2000), The Mesmerist – two stand out in particular as the highpoints of his endeavours to date. 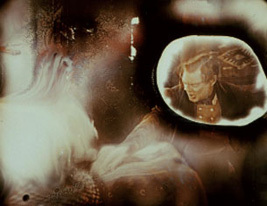 These are the feature-length Decasia (2002), the apocalyptic culmination of his nihilistic view of man’s place in history, and the contrastingly ecstatic Light is Calling (2004), in which bodies and movements dissolve in swirling waves of golden light, the film’s decay radiating as a glorious self-immolation. An important element of Morrison’s filmmaking is its collaborative aspect. He continues to work with Ridge Theater and has had his films screened in installation, concert and other performance contexts. As he emphasises, sound accounts for at least fifty percent of his work’s impact. 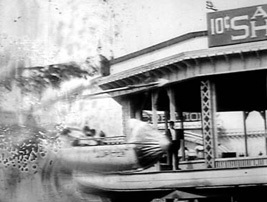 The contribution of composers, such as Michael Gordon (Decasia, Light is Calling, City Walk (2003), Who By Water) or Bill Frisell (The Film of Her, The Mesmerist) and sound designers like Michael Montes (Trinity, Ghost Trip) or Jim Farmer (Footprints, The Death Train), is crucially important to his cinema. We met with Bill Morrison when he was in Cork to present his work at the October 2006 Film Festival retrospective. MAXIMILIAN LE CAIN and BARRY RONAN: Your background is in painting. How did you come to work in film? BILL MORRISON: I was taught by the great animator, Robert Breer, who was a painter-turned-animator. I was a painter in art school, interested in how painting could command attention over a period of time. You could stare at a really great painting, but an average painting you’re just going to glance at. I was interested in film because it dictated how long you could look at it and what you could hear while looking at it. Robert Breer espoused this theory of 24 paintings a second and I started to dabble in animation and then deconstructing pre-shot 24 frame images. So, I was looking for pre-existing footage and especially footage where you’re aware that each frame was different. In early cinema – for instance, in that footage that’s depicted in The Film of Her, where it’s been transferred to paper – each frame has its own blemishes and so, when it’s projected, you realise you’re looking at a number of different pictures. That has an energy that I find exciting. In some ways, it deals with memories: you can think of all our days as a series of frames. So, I started looking at old footage for that reason, for its material qualities. And, more often than not, it’s in the public domain, so it’s available for life! I started to introduce that footage into the theatre company. I started out shooting Super8 off a VHS monitor and optically printing it, always this very compromised image. With the nitrate, there’s this added tension that, when it’s not ravaged by time, the pristine image is cleaner than anything else we see. There’s more silver content in the nitrate than you’ll have in your safety film and so, when you can see a face or an image where there isn’t a swathe of decay going through it, it’s incredibly pristine. It’s all the more violent when something does happen to it and that’s an added dimension of the tension that I was interested in. MLC-BR: You started out working in the theatre and much of your work has had a theatrical context. BM: Coming out of art school, I was eager to join any community, basically. And there happened to be a theatre group that was working with a composer who used a lot of sampled sounds. So, it seemed like a good fit that, if I was using sampled images, I’d work with a composer using sampled sounds. When I started, they would ask me to make films to exist within their performances. Back then it was 16mm film and I started thinking what the implications of this would be. The real performance element of a film projection is, of course, that it’s a piece of film running through the projector in real time. And this is what it has in common with the theatre: it’s happening in the room at the moment. So, I started making films that were referential to the fact that the film was alive, and the frame was being frozen for a millisecond in front of the lamp and the shutter was open. I was interested already in film being a collection of images, but it became a collection of images being shown, that became the subject matter. I still work with the [Ridge] theatre company. The staging of Decasia is done by the same group. I’ve married the set designer and there are three of us who are the principals now. We work on things together. I think we’re up to 20-22 productions that we’ve done together. So, to a degree, I still see this work as having a theatrical context. There are certain pieces that were built for musical performance that have retained this really ambient feel to them. There are not as many quick cuts as in my earlier work. MLC-BR: How do you approach presenting these films in a cinema context when the live show is finished? BM: Yesterday you saw Footprints. That intro with the 20th Century Fox logo was from a different part of the theatre show. Footprints was pretty much shown intact, but it was before we had our relationship down. It was like, “Okay, everything grinds to a halt and we watch this film.” And, of course, that killed the theatrical buzz. So traditionally I would take footage from disparate parts of the show and put it together and release it afterwards. With Photo Op all the footage would loop for minutes at a time. That was cut down to a five-minute piece from the intro. Death Train pretty much showed as it was in the theatre. I think it was a little bit longer and I clipped it down. With Decasia, there was no way I could make sure of hitting the beats when we did the performance. So, I made a rather atmospheric installation type of edit. Then we made the record that was going to be the master skeleton of the finished film. I re-cut and condensed it down to match those musical cuts. Its life in a multimedia theatrical performance was its first incarnation and was much more sprawling. MLC-BR: How great do you find the difference in audience reaction between versions? MLC-BR: Do you feel under any pressure to ensure these films have a life after the show? BM: I wouldn’t say “pressure”. I determine whether I think they could have a life and whether I should go that extra mile. It’s quite a bit of work once the show’s over and quite a bit of money because, after we’re done with the show, all the commissioning funds are gone. You have to make a soundtrack, and title it and re-edit it. And everyone else is rather bored with the project by then. The most recent piece, the one that’s making the festival circuit now, is The Highwater Trilogy. It was part of a multi-media project called Shelter that was performed early last year in Germany and late last year in New York. In those contexts, it was shown on video because it’s loaded into the computer as a series of QuickTimes, so you can hit the beats as the performers perform. The decision to go from that cheap medium back to the original 35mm nitrate was a proposition of something like $20-25,000. It was an expensive project but what happened in the ensuing months … The subject matter is floods and storms, and we had incredible news stories where the tsunami and Hurricane Katrina and New Orleans were dominating the headlines, as was global warming. I had these two projects I’d done with Shelter, and one I’d done with David Lang, on a separate project the same year called How to Pray. And they all sourced the same archive in South Carolina – Fox Movietone News Reel Outtakes – that dealt with flooding and high water. I put them together and called them The Highwater Trilogy, and released it as a 35mm film because it was now informed by world events. It’s something I probably wouldn’t have done had there not been those disasters. MLC-BR: How do you go about sourcing the footage you work with? Have you ever taken a concept from footage that you’ve discovered or do you always bring the concept to the footage? BM: What’s nice about the way I work is that there are incredible conversations between those two things and I’m allowed the latitude to make these decisions, which a lot of directors aren’t. In most documentary films, I think, you get out in the field with a team and a camera, and you think you’re making one film but there’s this guy that’s much more interesting than whatever you set out to make the film about and you redirect the project. I certainly allow myself that. Whenever you go to search, you need a laundry list of what you are looking for and you have to figure out where you’d be apt to find whatever theme you’re looking for. You have to think, “Where would that evidence itself?” And then, in so doing, you’re looking through a series of tapes that are a collection of stories and you’re fast-forwarding to get to the one you think is going to show The Futility of Man in the Face of Nature and, two stories before that, there is this incredible piece of footage. Then you start thinking, “That might not show the futility of man in the face of nature. But whatever it does show, that’s what my film is about.” [Laughs.] So I try to leave myself open to that. If it’s not that movie, then it’s another movie. In The Highwater Trilogy, there’s a whole sequence that’s entirely icebergs. I’m working with Gavin Briars on a project about the sinking of the Titanic, so originally I just started looking for footage of icebergs for obvious reasons, literal reasons, and never thought that same footage would end up in a piece by David Lang in which there’s maybe two or three notes going on for ten or twelve minutes. But when I thought of David’s music, I thought of that footage and went back to it. MLC-BR: You take advantage of chance discoveries? At that moment, I was rummaging through a flea market or a second-hand store and found all these stag films which contained the starlet in The Film of Her and the extended footage in Trinity. I thought it contained this awareness of the camera that made you think, “Who is this actress who looks directly into the camera?” It is an incredibly amateurish production, but the carnality had to do with the physicality of the film as much as how old it was. And, of course, I fell in love with this footage. I think if I had found it a few years later or a few years before, I might not have remembered it but, because I was looking for this thing at that moment, it was like, “I have to take this. This is the moment.” It’s somewhat frivolous, but I think I’m working in a way that not only allows that, but sometimes demands it. MLC-BR: Do you see yourself working in a cinematic tradition of found-footage filmmakers: Tom, Tom, the Piper’s Son (Ken Jacobs, 1969) or Bruce Conner, for example? BM: Certainly Tom, Tom, the Piper’s Son was an enormous influence on me, in that I had never heard of the paper-print collection before that and I had read Ken Jacobs’ catalogue notes in which he attributed the reason he was able to see that film to a photographic engineer, Kemp Niver, who took each paper print and painstakingly photographed it. I got interested, thinking, “Well, who is this guy?”, because I was in a way doing the same thing. I was taking these pieces of films and rephotographing them into modern viewership. In researching him, I realised that he did very little of the work at all. He had some cameraman who did it and someone else had discovered the films, and both these people are forgotten by history. And so I made The Film of Her to sort of rewrite that. That was a direct result of Tom, Tom, the Piper’s Son. I’d say with the modern work and the orchestral work, Berlin, Portrait of a Great City (Walter Ruttmann, 1927), and, more obviously, Koyaanisqatsi (Godfrey Reggio, 1982), I still remember seeing when it came out and not being able to comprehend that there was a film that didn’t have characters or plots or dialogue. Someone took me to it, and said, “You have to see it”, and I had never been so excited by a movie before in my life. It’s hard to remember a time when it was hard to conceive of that being a film. And Godfrey became a friend and was an influence on me in the years after that. MLC-BR: How do you work with your sound designers and composers? Sound is hugely important in your films. BM: It’s at least half the thing, and I’m deeply indebted to these guys. In most cases, I’m cutting to the music, so it’s usually what the point of departure is. We’ll usually start with a project that’s either been commissioned by the same source, or we’ve approached a sound designer whom we want to work with. But ultimately I’m cutting to the sound. MLC-BR: A lot of the films we saw yesterday had sound by Michael Montes. BM: Actually, it was pretty evenly split yesterday. It was two by Jim Farmer, two by Michael Montes and two by Bill Frisell, one half of which was also [Henryk] Gorecki. And then two other composers we worked with in the early nineties. Today’s screenings will all be Michael Gordon and tomorrow will be an assortment of Bang On A Can collaborators: Michael, his wife Juliet Wolf and his other Bang On A Can cohort, David Lang. Decasia was basically a commission for Michael to write a new symphony. They had European cultural funds, enough so that they could support a visual apparatus that go around the music. We had collaborated with Michael before, he’d brought us along, and I had seen this imagery. I had recently visited an archive and had seen this boxer seemingly boxing a boxing bag. But the boxing bag had exploded into this amorphous blob of decay and it seemed like a very powerful image to me, so I suggested we build the whole thing around this image, this idea of decay and fighting decay. MLC-BR: What draws you to found footage? BM: Well, I guess if I were to go back in time, the obvious answer is that it looks really cool. The Mesmerist looks pretty cool. MLC-BR: To what extent is the decay in films like The Mesmerist as you find it? BM: Entirely. What’s remarkable about The Mesmerist, and really sets it apart from anything else I’ve done, is that, not only have I borrowed the images, I’ve also borrowed the plot points. But I’ve reshaped the plot. The Mesmerist was originally a 1926 feature called The Bells, directed by James Young, and starring Lionel Barrymore and Boris Karloff. It is a particularly odd film in that the protagonist, [Mathias Barrymore], commits cold-blooded murder and it basically solves all his problems. I wanted to re-invent the film so he doesn’t get off the hook, as it were. What was incredibly fortuitous was that there was this pristine print in the Library of Congress and they had this one where two or three rolls of it had been damaged or had deteriorated. They knew already from my work on Decasia that I fancied this kind of stuff, so they set it aside and they said, “Oh, this is the film you should have included in Decasia.” I said, “I’ve already made Decasia and now we’re onto the next thing.” I looked through it and it was quite remarkable that you had this decay in the scenes of the fairgrounds, but the scene of the murder is relatively pristine. In the original, the murder plays in a linear sequence, but in my version it replays as a flashback. The decay becomes representative of a dream state or, in this case, a reality state, and the pristine film became a dream state. MLC-BR: The decay representing the ravages of conscience on perceived reality? MLC-BR: How does your work with found-footage relate to films you shoot yourself – Ghost Trip, for instance? I’m certainly known as a found-footage guy and I wanted to have some sort of faith in the medium. So, I loaded two friends into this Cadillac hearse – I bought the hearse – and we went off across the country. It sounded like a great time; it had its moments. I didn’t really want to start out with much of a plot, but I knew I was going to hit these spots along the way. I knew there was this preacher in Mississippi; I knew there was the guy that sang over his mother’s and grandmother’s graves in New Orleans. I knew that I could stop in New Mexico and see Godfrey Reggio, for instance, and the landscapes would present themselves and, at the end, I would have a film of sorts. So, that was an experiment. It would have been very difficult for me to have a shooting script and go out with these two guys and say, “Okay, now you guys act!”, but that was the trip I could make at the time. They were two childhood buddies who, at the time, I was getting along with and so we could do it. Anytime they spoke, I ended up cutting it out because they’re not actors. So, for them, it was very frustrating, because they thought that were embarking on their movie careers. But, for me, they were ciphers. Basically, it’s a guy getting from the beginning of the film to the end of the film, and you can see the road as the film and these things that intercept him as markers along the way. In some ways, it’s an imperfect film, but I very much like to see it. There are some quite nice bits in it. MLC-BR: The journey appears important to several of your films and it seems linked to the progress of the film passing through the projector or the camera. All of these trajectories don’t seem to lead anywhere; they just seem like evolutionary loops. BM: Right, often the first frame and the final frame are the same. MLC-BR: The journey, the passage of film through light and the evolutionary patterns are linked in your work? BM: I guess this must have been a big theme. [Laughs.] It seems a little bit nihilistic to think we haven’t made any progress at all, but I’m not sure we have. I think we are doomed to repeat our mistakes. And film is somehow fascinating to us because, every time we unspool, we see this hero go through the same thing unwittingly, not knowing what’s going to happen at the end. With Ghost Trip, I see it the same way: this guy walks into the ocean and comes back in limbo, unaware that he’s dead and everyone he’s met is dead. That is the fate of the film character. MLC-BR: You’ve compared film to a decaying human body. Yet images of machinery – notably film equipment and vehicles – feature prominently in your work. How do you relate the solidity of machinery in your films to the very organic processes of decay you explore? BM: That’s a good question and one I haven’t been asked before. I think we’ve created these machines, of course, and the way our brains work in order to understand this organic decay is to cut it down to these little increments that run at 24 frames a second. In this way, we analyse it and pass the shutter over it twice within a microsecond. And this way we study it. So, in some way, the machinery is running at odds with amorphic organic decay that is unknowable. But, at the same time, it’s the way that we’re given to view the world, the model that we’ve created, and, for better or worse, the projector is the closest we’ve gotten to expressing our ability to see and hear in time. MLC-BR: What is your opinion of video? There are people who swear by the hard cut. I had the great fortune of collaborating in the capacity of an actor with a young filmmaker, Andrew Bujalski. He cuts on 16mm and really believes in the violence of the hard cut. I just saw something he recently shot on HD, where he was able to attain some of that. But he didn’t trust it as much, of course, because he couldn’t have done it a frame here, or a frame there. I think there is something to the physicality of film, being able to hold it, that we’re losing and, of course, I’m someone who’s talked about that: how film interfaces with the material world. On the other hand, the capacity that I’m using Final Cut Pro in is to match back to original film when I’m making a 35mm print. In this way, it’s an editing tool and I’m somewhat distrustful of these cookie-cutter filters that people apply – though of course, like anyone, I’ll tweak contrast or colour correct. MLC-BR: Will you be sticking to found footage or shooting more of your own films as well? BM: I like to do that, but Ghost Trip was certainly challenging for me and it tested how many hats I could wear on the set. The two guys I went on the ride with were little help. They were a lot of fun, but they didn’t lift too many boxes! I’d need to have a team assembled and that’s not a way I’m used to working. On the other hand, I’ve received an enormous grant to do just that, so I have to figure out how to make a narrative film again – or how I’m going to make a narrative film I can live with. As I go through the course of the day, I’m always seeing things that I think would be beautiful moments. So, maybe it’s just a matter of collecting this. MLC-BR: It sounds as if you have a distrust of narrative filmmaking. BM: Maybe of the big teams and the lights and the craft services and stuff like that. Yes, it intimidates me. I think there are people who are quite good at it and I don’t mean to demean what they do in any way because I simply just can’t do that … Some of my best friends are narrative movies! [Laughs.] … Those are the films I like to see like anyone else. It’s very tough to sit through a programme of Bill Morrison films, even for me. It’s more that I wonder – maybe too much – how my previous work would relate to a narrative film or any of the things I’ve already established in cinema as somehow being in conversation with it. But maybe that’s over-thinking and the thing to do is just to do it. MLC-BR: You still remain between three art forms: painting, theatre and cinema, drawing from all of them yet, perhaps, not belonging completely to any of them. BM: Right, because whenever I feel I’m belonging to something, I run away. Barry Ronan is a filmmaker currently based in Cork, Ireland.